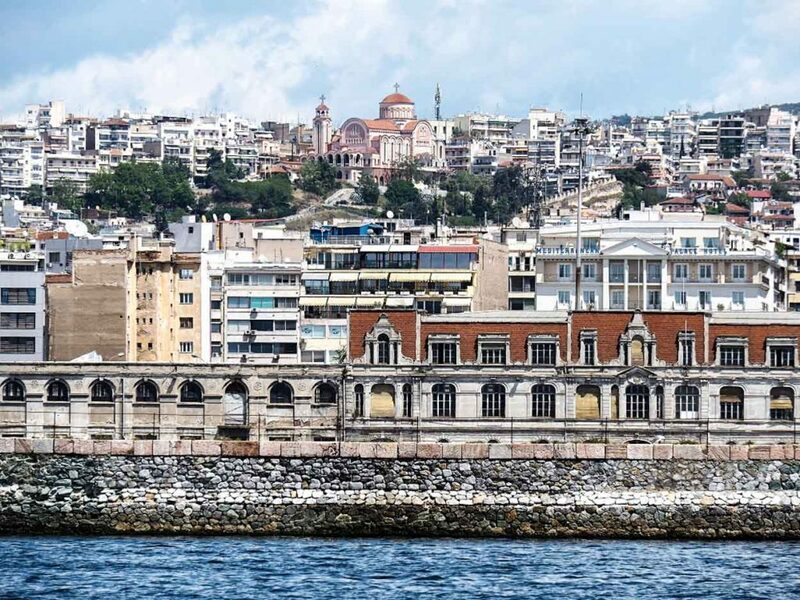 When friends ask you where you’re going in Greece and you say “Thessaloniki!” you sometimes get a polite, blank smile in return. “Ah.” They say. Sometimes they add: “Where is that, exactly?” Then, you mention Alexander the Great, and the Ancient Kingdom of Macedonia, and maybe Mt. Olympus (it’s right across the bay), and a picture starts to form. The truth is, that popular travel cliché “A well-kept secret” really does apply here. Other European cities that are much smaller and, frankly, have a lot less to offer nonetheless have a lot more name recognition. That’s totally fine with Thessaloniki. With an urban pedigree over 23 centuries long, the city exudes cosmopolitan confidence. This gorgeous piece of land curving around the bay of the Thermaikos has been coveted since it was settled by Cassander. 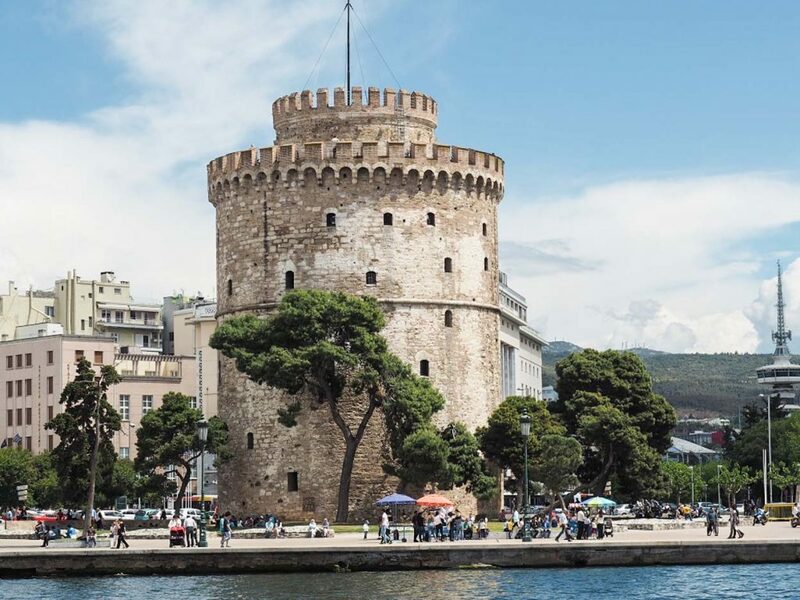 He named it for his wife, Thessaloniki — Alexander the Great’s little sister. And her name means “victory” (=”niki”) of Thessaly. 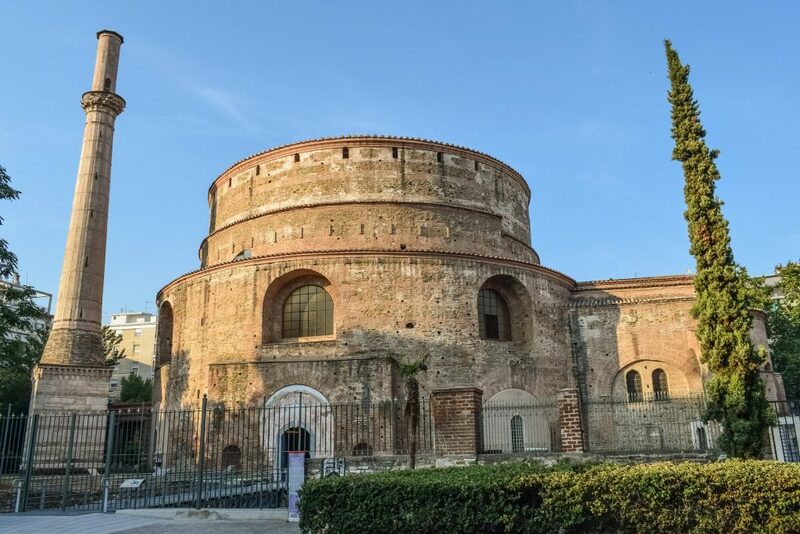 It started out life as a great city, and when Thessaloniki became a seat of the Roman Tetrarchy, Emperor Galerius in the 4th C AD, it became even greater. Much of the excavated Galerian Palace Complex defines the city center, and the triumphal arch “Kamara” is one of the city’s most recognizable landmarks. The complex culminates at the Rotonda — the city’s oldest and also its most dramatic structure, with a 30 m high dome, covered in glittering mosaic. It’s not the Pantheon of Rome, but at 2/3’s the size, it’s pretty close. And an ancient Roman Agora, complete with an odeon and a cryptoporticus, was discovered to the west in the 1960’s, right above Aristotle square. The city’s ancient past can be explored through the lavish and informative displays at the truly fantastic Archaeological Museum. More glory was shortly to come. During Byzantium, Thessaloniki was second only to Constantinople. As the empire’s important western port and a center of commerce, the city is awash in Byzantine glory. 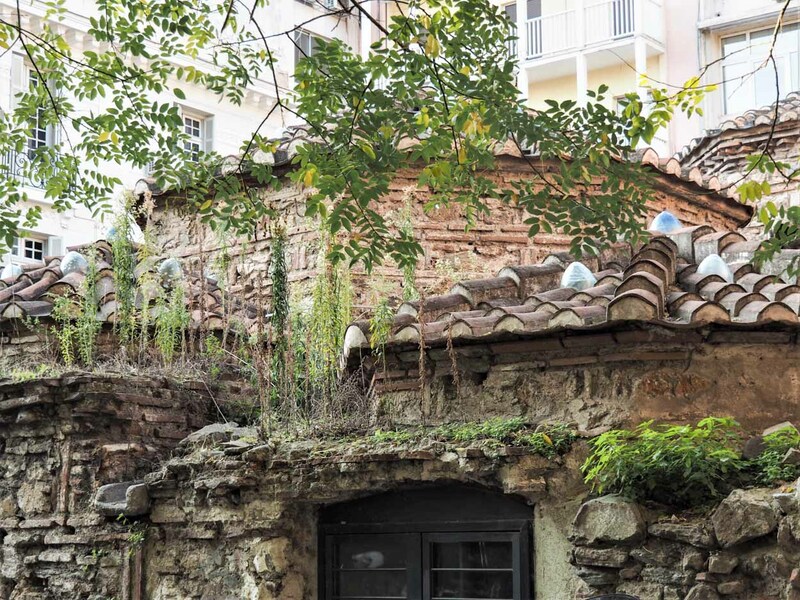 Thessaloniki has 15 UNESCO world heritage monuments — 13 of these are Paleochristian and Byzantine churches, ranging from the 4th to the 14th centuries. Some of the mosaics- like that in the 5th C church of Osios David, are considered masterpieces of Byzantine art. The walls that crown the city also date from this glorious period. Explore more beauty at the Museum of Byzantine Culture. As the Byzantine Empire’s strength waned, it was no longer able to hold the city against Ottoman aggression. They handed it over to the Venetians. They, too, were unsuccessful: in 1430, Sultan Murad II saw the coveted city in a dream, symbolized by a rose. He asked God if he could take it, and god said “yes.” So he did. 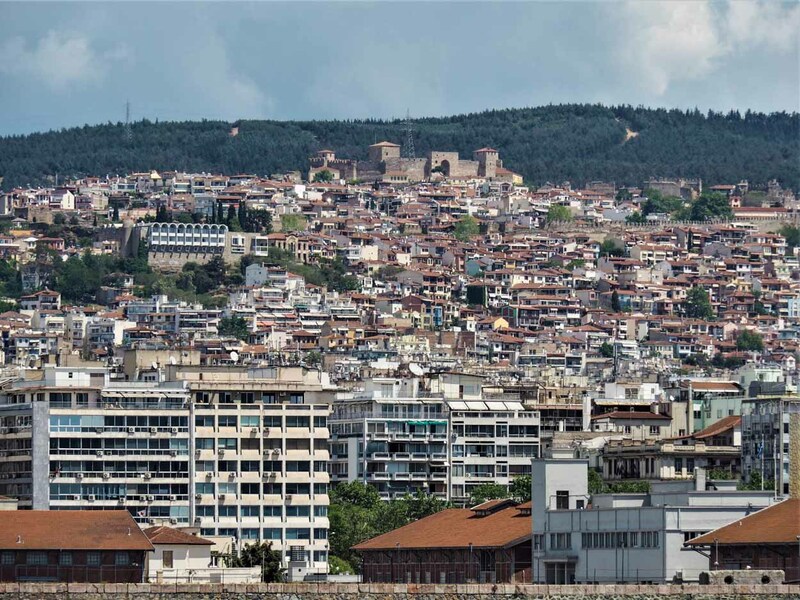 Just as it has been in Byzantium, Thessaloniki remained a key city in terms of strategic importance. It also became richly multicultural- Muslims joined the population, and shortly after the city’s capture, Jews from Spain, fleeing religious persecution, added more diversity. Jews in fact were a dominant group in numbers, and this was an important Jewish community in southern Europe until WWII. People from all over the Balkans made their home here too, and until early in the previous century, the streets filled with the sounds of Ladino (Judeo-Spanish), Slavic tongues, and Turkish along with the Greek. The Ottomans repurposed many Christian Churches and made them into Mosques, and also many Ottoman structures were lost to the great fire of 1917. But exotic monuments remain, like the Bey Hamam baths of 1444, right above Aristotle square, the Hamsa Bey Mosque with its courtyard on Egnatia that is becoming a metro station soon (and used to be called the Alkazar), and the Alaja Imaret– a late 15th C mosque in glorious condition that is now an exhibition space. In the upper town, water still flows from fountains with Islamic inscriptions, and there is even an exotic tourbes (tomb) of a Sufi holy man. As the Ottoman Empire joined the modern age, so did Thessaloniki. In the late 19th C., this was a prosperous town, and the elite of all three religious groups embraced the cosmopolitan European lifestyle, intermingling socially and building grand villas side by side. 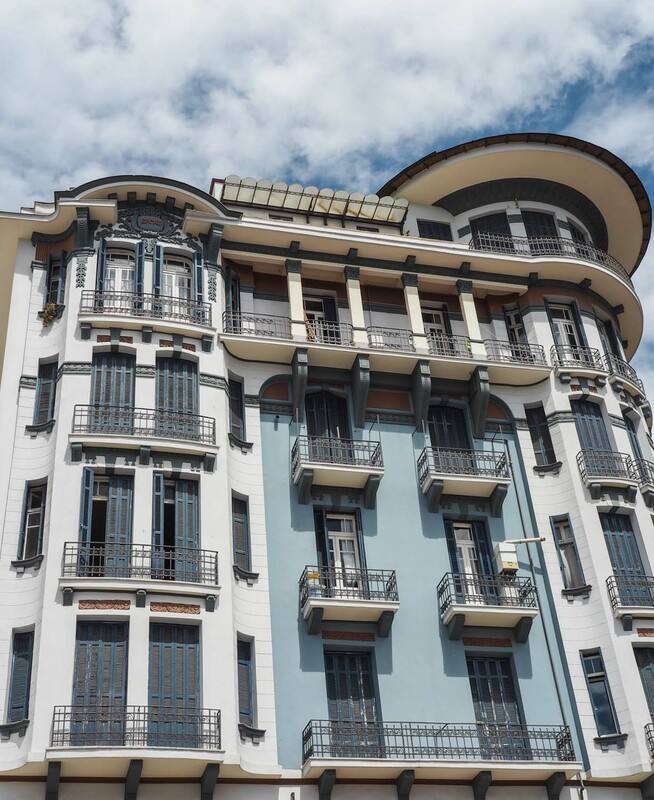 Monuments of Thessaloniki’s Belle Epoque still stand, especially in the “Exoches” neighborhood, east of the White Tower. The Casa Bianca (Vasilissis Olgas 180) is now the Municipal Art Gallery, the Villa Kapandji (Vasilissis Olgas 108) is an exhibition center for the MIET Cultural Foundation of the National Bank of Greece, and the Villa Modiano (Vasilissis Olgas 68) is the Folk art and Ethnological Museum of Macedonia and Thrace. These gorgeous cultural destinations are worth visiting for the buildings alone, and for a taste of the atmosphere of the past. Many other grand buildings are still standing. 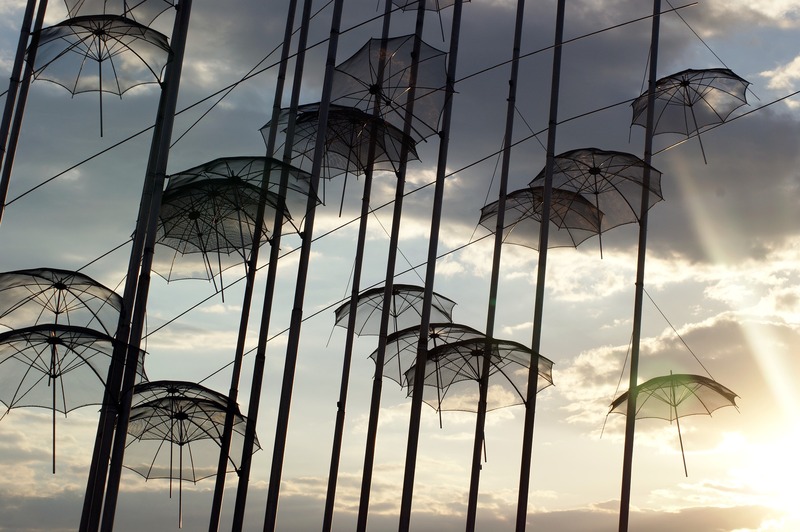 Thessaloniki’s contemporary cultural scene is incredible. 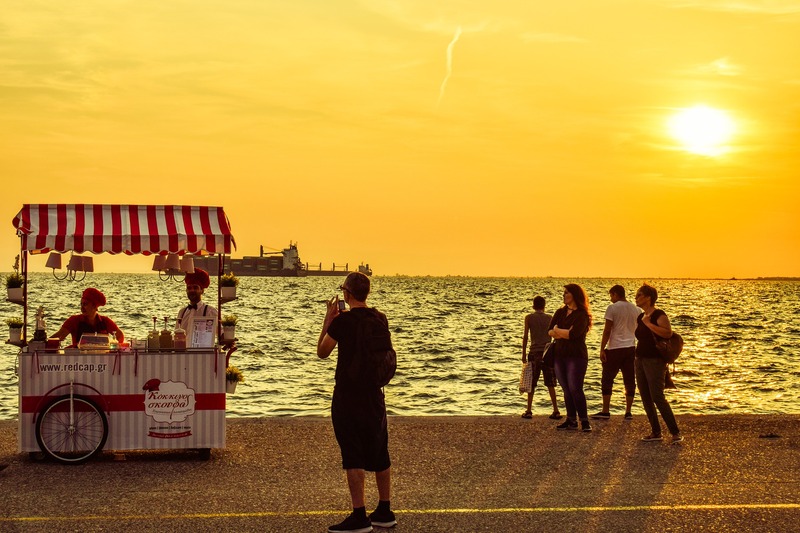 The city has the nation’s only Museum of Photography, the Cinema Museum of Thessaloniki, and a Center for Contemporary Art– and that’s just in the warehouses of the picturesque harbor. 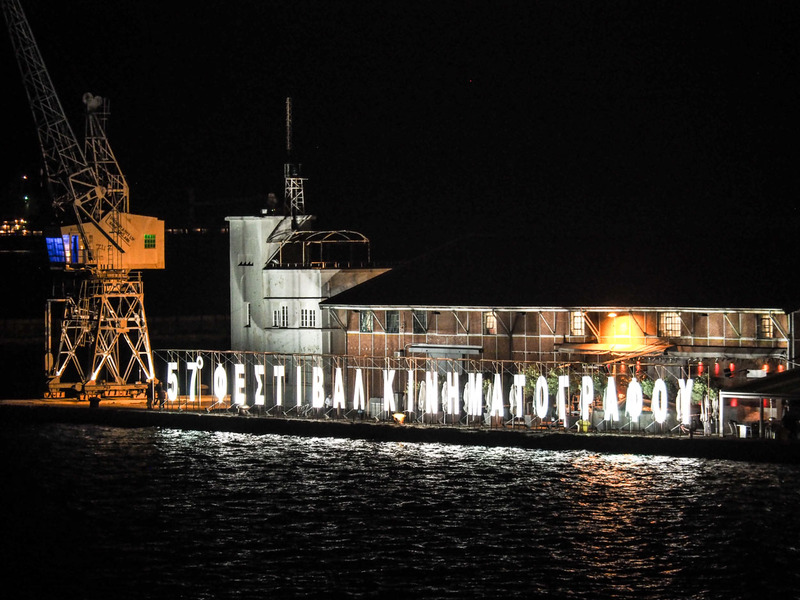 There are also three serious contemporary museums- the State Museum of Contemporary Art, The Macedonian Museum of Contemporary Art, and the Teloglion Foundation. Contemporary galleries, events, and performances enliven the scene. Nightlife too is without peer- the city is known for excellent live venues and performances by international artists. Bars and cafes abound, suiting every taste. The huge student population gives the city a noticeable youthful tone- street art and nightlife both benefit. And for gastronomy, the city is truly second to none- the combination of a rich multicultural heritage and bold experimentation make it impossible to dine poorly here- from fresh bougatsa at 6 am to a spicy Gyros on your way home after a late night out, the city offers 24 hours of delight. One of the longest urban coastlines in Europe hugs the Thermaikos bay. The city’s chicest cafes are spread along the old waterfront. Then, at the White Tower– symbol of the city- the new waterfront parks and promenade stretch to the Concert Hall. Beyond that are the informal piers and beaches of Kalamaria, and, beyond the palace, the marinas of Krini. Seeing Mt. Olympus majestic just across the bay, it is easily to believe it the dwelling place of the Gods. 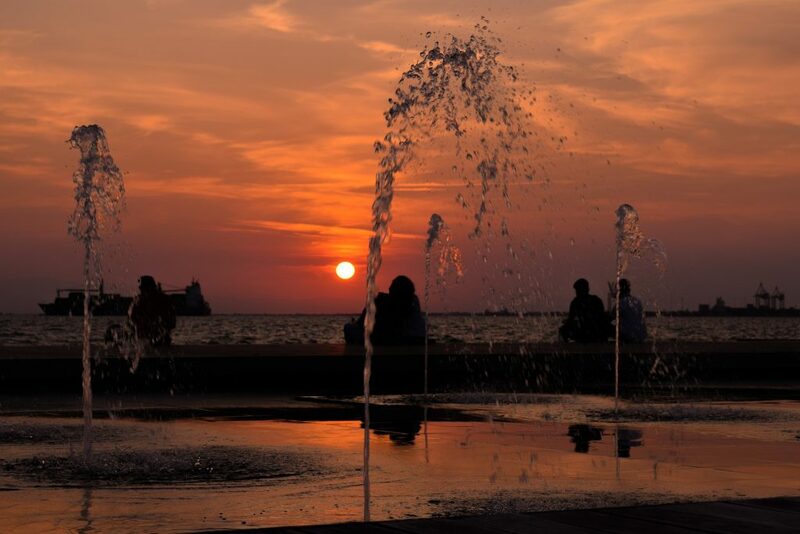 We hope that you enjoyed reading about the many faces of Thessaloniki and will be planning your trip there soon.